Economic news is going from bad to worse, isn’t it? The Dow dropped below 10,000 for the first time in four years. In London, the FTSE 100 experienced their biggest drop since 1987. Asian markets are tumbling out of control. Companies are laying off people. Just yesterday eBay announced a layoff of personnel in the 1600 range. The good news, if you can really find any, is that the dollar is rebounding to a 13 month high after being down for so long. And oil has dropped below $90.00/barrel. “W” is saying the 700 billion dollar bailout “is going to take a while.” I’m not sure our economy can withstand many more hits. Both Republicans and Democrats must take responsibility for this mess. It’s time, past time, for a third party in this country. Neither Republicans nor Democrats care about the average working person. All they care about is getting re-elected. Of that I am sure. I am continuing work on my new blog. I am in the stage of setting up the blog here on blogger after looking over Wordpress, LiveJournal and several others. I guess familiarity breeds familiarity (or is that contempt?) is the rationale for hosting the new blog here. 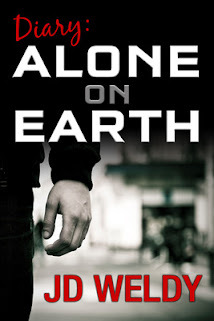 The name of it, in case you missed my blog entry, is “Diary: Alone on Earth.” I’ve already got the prologue finished. It details what the blog is about and how my worst “fear of fears” comes about. I will announce here when it is ready to go. I hope everyone will give it a look. If you like it, I hope you will subscribe to the feed. It’s my first attempt at fiction. It should be ready in about two weeks. Flu shots are being given now. That is something I never, never, never forget to do. My last case of the flu was in March of 2004. That just so happened to be the worst case of the flu I ever had in memory. It made a believer out of me. From that point on, I get the flu shot. I know it’s just an educated guess to what they think will be the flu virus this season. At least in my case, it’s worked out pretty well since 2004. Finally, as posted last Friday, I went on a date Friday night with a woman I was nervous about dating. She is simply stunning. Even at age 52, she makes men whirl their head around. She is almost an identical twin of Patricia Heaton of “Everybody Loves Raymond” fame. We had a very nice dinner at a local Italian restaurant. After that, we went to a music festival. Conversation was not strained and she laughed a lot. That’s usually a good sign a woman is enjoying herself. Of course, I’m not sure if she was laughing at my corny jokes or at my lame attempt to be humorous. I enjoyed myself too. She was a lot of fun. I called her the next day. We plan on going out again this Friday night as well. I do know one thing; she’s the easiest person to talk to I’ve ever met. I don’t know why I was so apprehensive about going out with her. We discovered we have some things in common. We’ll just have to wait and see what happens down the road.